1.0.3 3) When is Holy Year on the Camino de Santiago? 1.0.4 4) Where does the Camino de Santiago start? The Camino de Santiago is the most popular and ancient pilgrimage route. As such, there are many Camino de Santiago facts, or anecdotes related to this walking trail. Let’s discover a couple of them, keep reading! The Primitive Way, or Camino Primitivo! Yes, even though the French Way is the most popular route of the Camino de Santiago, it is not the oldest! The Primitive Way is the route that starts in Oviedo, and crosses Asturias and Galicia region up to Santiago de Compostela. The remains of Saint James the Apostle were discovered in the IX century. King Alfonso II was in Oviedo, and decided to walk to Santiago de Compostela to visit the tomb of the Apostle. And his pilgrimage marked the origin of the whole Camino de Santiago tradition. Santiago de Compostela is the final destination of all the different Camino de Santiago routes. The name “Santiago” of course refers to the Apostle (Santiago is James in Spanish). And the word “Compostela” comes from the latin expression “Campus Stellae”. What does it mean? Campus means “field” and Stealle means “star”. The field of the star. But, why? According the the Christian tradition, the remains of the Apostle where discovered because there was a star on that field, illuminating its location. 3) When is Holy Year on the Camino de Santiago? 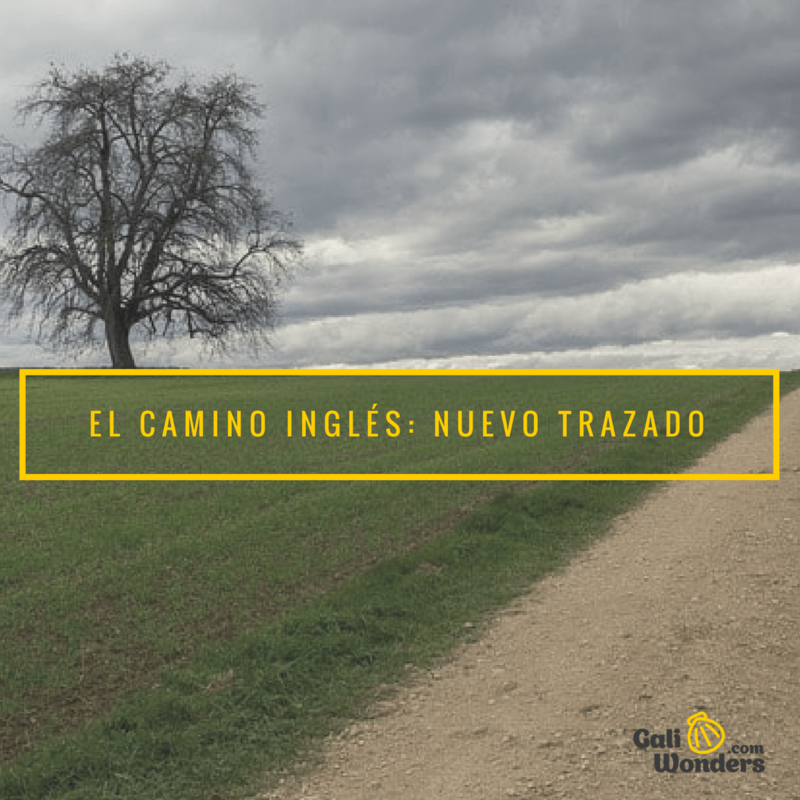 Did you know that the Holy Years on the Camino de Santiago take place with irregularity? In other words, they are separated by intervals of six, five, six, and eleven years. The last Holy Year was 2010, and the next will be in 2021. How does this work? During the year when the 25th of July falls on a Sunday (Saint James Day), the grace of the Jubilee can be obtained in Santiago de Compostela. So, basically the Holy Year is when the 25th of July is on a Sunday. Attend the Holy Mass and say some prayers (the Creed, Our Father, and pray for the Pope’s will). Receive the sacraments of penance and communion. Visit the tomb of the Apostle (at the Cathedral). 4) Where does the Camino de Santiago start? During the Middle Ages, traditional pilgrims used to start their walk towards Santiago de Compostela from their houses. Pilgrims coming from continental Europe used to take the French Way in St-Jean-Pied-de-Port, or the Northern Camino in Irún. Those pilgrims coming from overseas, landed at the various ports of Spain or Portugal, and continued from there to Santiago (the origin of routes like the Portuguese Way or the English Way). This has evolved in a way that, nowadays, there official Jacobean routes of the Camino de Santiago. Each of them, with its starting point. Way in Ferrol, the Northern Way in Irún, the Primitive Way in Oviedo… but there is even more! All those who have walked the Camino de Santiago, have noticed the scallop shell is the symbol of the Camino de Santiago. According to the legend, the son of the Count of Bouzas (Pontevedra) on the day of his wedding, decided to jump into the sea with his horse, to grab his wife’s attention. But sadly, they disappeared under the water. When everyone thought he was dead, we emerged in the seashore, with his clothes covered by scallop shells. A couple of days after, the boat carrying the remains of Saint James the Apostle arrived in Galicia region. The son of the Count decided to walk to Santiago de Compostela, carrying a scallop shell with him. Do you know any other interesting Camino de Santiago facts? Any piece of history or anecdote about this pilgrimage walking trail? Please do not hesitate to write on the comments section! And if you have any questions about our Camino de Santiago tours, please do not hesitate to contact us, we will get back to you in less than 24 hours!